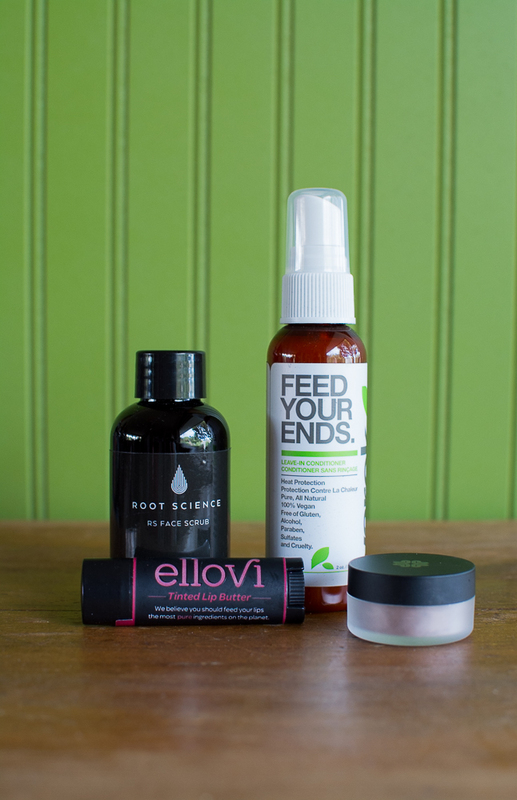 My review of the September 2014 Petit Vour subscription box (my 6th box). 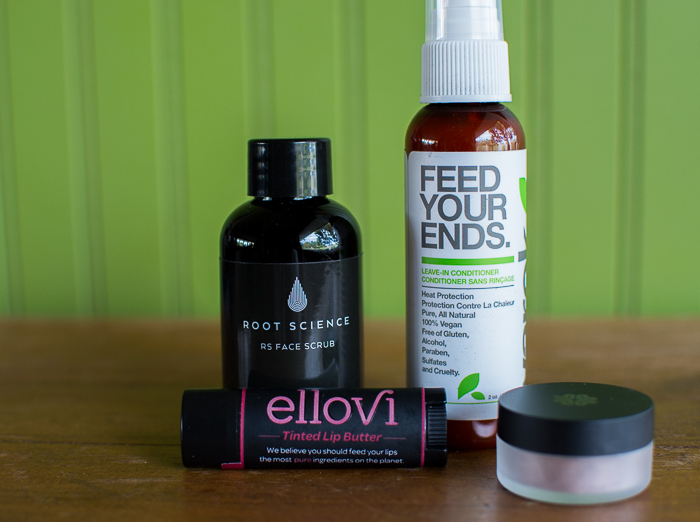 Description: What’s added to Ellovi’s 6-ingredient lip butter to give it that red oomph? The tint is made with the red root of a Mediterranean flower called alkanet (who knew?). No nasties, just good-for-you butters so that you can have deliciously scented moisture on your pout. It’s glossy like lip gloss and hydrating like chapstick. The color is close to the red/pink trim on the label and there are only 6 ingredients. Very luxurious. Ingredients: Macadamia Nut Oil, Coconut Oil, Sunflower Oil, Marula Oil, Shea Butter, and Alkinet Root Extract. Description: Highly pigmented for a long-lasting and durable finish. Create sheer or intense washes of color, with shades which work both wet and dry. HOW: Sprinkle a little eyeshadow into the lid of your jar; using your eye shadow brush swirl into the minerals to pick up product and then sweep across the eyelid, blending as you go. I love the how-to tip included above. I like applying mineral eyeshadow wet or with my finger. This shade is perfect. It’s very neutral and lightly iridescent. Description: Our weekly exfoliating treatment unites 22 of nature’s most powerful skin regenerating ingredients. Scrub away the impurities of the day as brightening turmeric provides a surge of youth restoring antioxidants. Our proprietary blend of organic botanicals gently remove dead skin cells, draw impurities from clogged pores and even skin tone. Our “superfood” skin treatment is overflowing with Vitamin C rich fruits, healing herbs and detoxifying clays, unveiling soft, healthy, glowing skin. 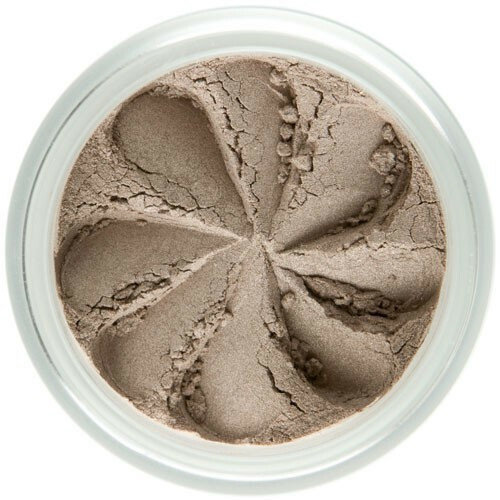 An earthy powder that you mix with water and rub into the face. It’s not a mask, it’s a scrub made from earth. I love it. Also, their site is GORGEOUS. Description: Protect your ends with this nutritious, leave-in conditioner spray, packed with vitamins, minerals and essential oils that nourish hair prior to blow drying or heat styling.